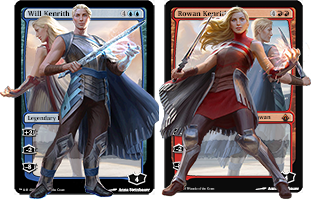 For commander I see it as a really great way of protecting against sorcery speed removal. The fact that you get to put the creature back into your hand means that it's not exposed to wraths. This coupled with the ability to put Ilharg, the Raze-Boar 3 cards down, means that the commander tax can be negated. So with Sensei's Divining Top you'll always have access to him. You can even use your own Oblivion Stone or Nevinyrral's Disk or Perilous Vault and just not commit anything but Ilharg, the Raze-Boar. The thing is that you don't even need to be putting bombs into play with him, just getting some reusable value is fine, ala Solemn Simulacrum, Imperial Recruiter.., and use him more for the bounce back to hand. 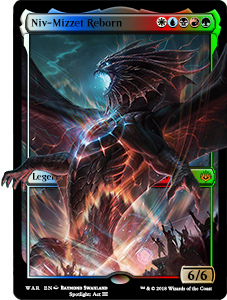 Dream Pillager, Dragon Mage, Hellkite Tyrant, Bogardan Hellkite, Avatar of Slaughter, Balefire Dragon. You can use Reality Scramble to basically make sure that you can get Ilharg, the Raze-Boar from the top cards of your library with some of your smaller creatures more quickly. The retrace on it makes it easy to just discard lands to keep putting him back into play. 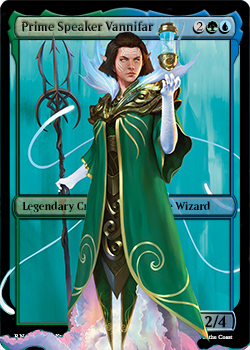 So in EDH this and Combat Celebrant for funtimes? Unfortunately, I think since Combat Celebrant enters the battlefield already attacking his exert ability will not trigger if I'm remembering the rules correctly. Correct. Exert is a choice made when a creature is declared as an attacker. If they are put into play attacking you cannot exert. He seems abusable with Lumbering Battlement to abuse ETBs in Standard. This is how bacon is supposed to be ! Time to dust off ol' Tiresides. Geez calm down pig jesus. Notably emrakul's annihilator doesn't trigger with the pig so I doubt it will see serious modern play, but it is going to be one hell of a force in standard and commander. THATS 21 DAMAGE ON TURN 2!!! that's just too many moving parts. An emrakul on its own wins the game with anialator. I was thinking it would be good as an alternative to through the breach, but it is venerable to spot removal and your opponent can block out of it so the pig would need to survive combat. It's a really good card, but it's not something I want to cheat into play and it doesn't have an etb like prime time so I don't want to spend 5 mana on it. It could turn out I'm wrong and it dodges enough removal that it can safely survive until your next turn, but I'm skeptical. 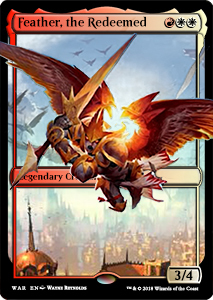 I see the standard using it with gishath, sun's avatar just for some quick swing in, search for more dinos, etc. Eldrazi Ninjas - Summoning Octopus Jutsu YYYYAAAHHHH! Master of Cruelties is the creature you want to cheat in. Doesn’t this give infinite attacks with Godo, bandit warlord? Doesn’t this give infinite attacks with Gondo? No? Godo attacks, you get one extra combat, Godo goes back at your endstep. And even if it went back at the end of combat or something like that Ilharg isn't a Samurai so it wouldn't untap to get to attack again. No? Godo attacks, you get one extra combat, Godo goes back at your endstep. A. Crap, misread return to hand statement. And Godo’s attack trigger doesn’t even happen because if he’s cheated in on another attacker’s attack declaration trigger he’s never declared as an attacker himself. Let the Orzhov sneer all they want at the Gruul-- their religion turned out to be right all along. I'm now trying to count the number of cards that are about to skyrocket in price because of this guy. And Godo’s attack trigger doesn’t even happen because if he’s cheated in on another attack trigger he’s never declared as an attacker. Indeed. Thank you for the clarification. Since it seems to have come up several times in this thread: "When ~ attacks" means the creature must be declared as an attacker during the declare attackers step, during Combat. Those triggers are put on the stack immediately after that step so creatures put into play attacking, like with Ilharg, are neither declared as an attacker or in play in time for their trigger to go on the stack. Edit: BTW are none of you standard players looking to bring Ghalta in with Bigpig? I mean we're in a format with shocks and that's 18 damage. Fun fact: since the creature enters the battlefield attacking, it bypasses not only extra costs like Ghostly Prison but even restrictions like Defender. I assume that being a new object when it comes into play from ilharg the second time and after makes medomai never see the turn it's in as an extra? Just to remark that it's possible to kill this and exile it from the graveyard in response to the trigger to get rid of it for good. He just skips it by being put into play. 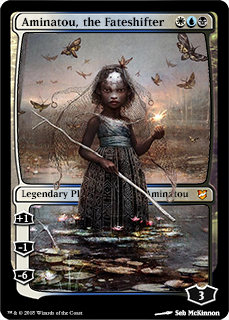 Glad I got a few foil copies years ago, it was obvious Medomai would break *someday*. Medomai's ability only prevents it from being declared an attacker and being put into play gets around that. It's a new object but that wouldn't effect its ability. Yes but only if the boar is a samurai, has vigilance,(there will not be more triggers for godo unless you keep returning hin to your hand, and again the boar needs vigilance or be a samurai)(actually he don't even trigger, right, lol) or you just make alot of copies of Godo and kill the oponent 3 damage each time. It hits the mark flavor-wise, in that the Boar is bringing a lot of pain along with itself. It hits the mark for casual play as well, because who doesn't like fatties? Only downside is it's not Gruul colors, I have so many Durkwood Boars OG waiting for a master. The "Crazy One", playing casual magic and occasionally dipping his toes into regular play since 1994. 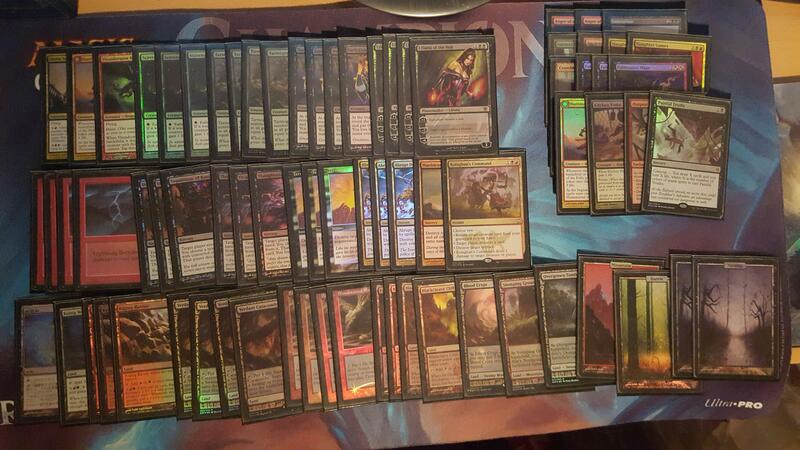 Currently focusing on Duel Commander (Kari Zev, Skyship Raider and Nissa, Vastwood Seer) and goofy Commander builds. Find me at the Wizard's Tower in Ottawa on Saturday afternoons or at Duel Commander at the Westboro Bridgehead on occasional Monday evenings.